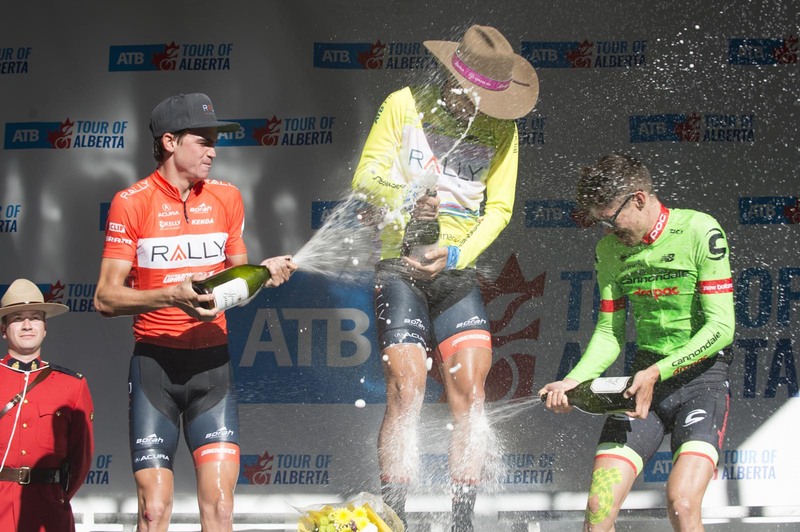 Rally Cycling dominated the 2017 Tour of Alberta, holding onto the leader’s yellow jersey from start to finish with Evan Huffman claiming overall victory. Sepp Kuss joined Huffman on the final podium in second. 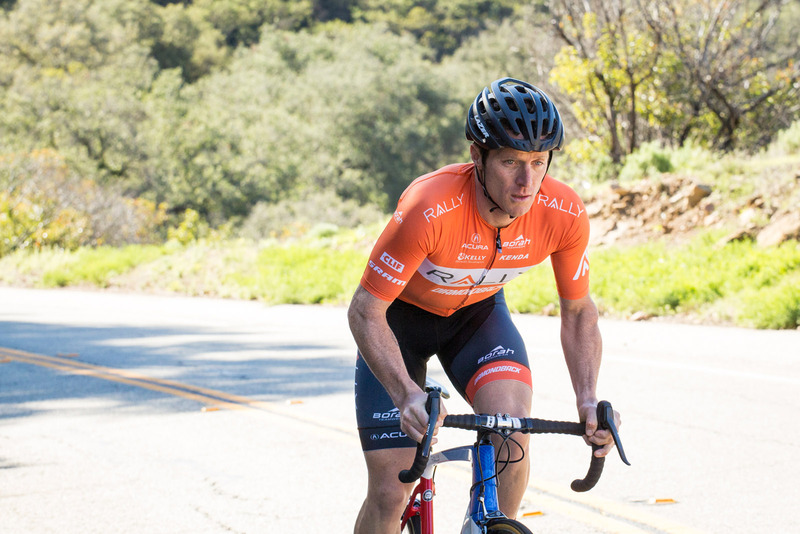 Colin Joyce finished seventh and Rob Britton eighth to give Rally Cycling four riders in the top ten. With so many riders high in the overall standings, Rally Cycling also claimed victory in the team classification. Along the way, the team demonstrated incredible teamwork and dedication, which yielded one stage win and three podiums courtesy of Kuss and Joyce. The win caps an incredible season of success for the team and Huffman who also won two stages of the WorldTour ranked Amgen Tour of California and the iconic Tour of the Gila. In total, the riders of Rally Cycling have taken the top step of the podium over 90 times this season. The team currently leads the UCI America Tour team classification and the results garnered this week will serve to further increase their lead overall. With three events remaining on the 2017 calendar, the Rally Cycling men may have done enough to secure the overall title. Huffman laid the foundation for his overall victory in stage one with a dominating ascent to Marmot Basin. The day started with Huffman and Kuss infiltrating the day’s 14-man breakaway. As the lead group hit the lower slopes of the day's final 11-kilometer ascent, they held a gap of just over two minutes on the peloton. With the peloton closing in behind, the breakaway experienced a lull in pace. Seizing the moment, Huffman swung to the right side of the road, increased his pace and rode clear. Behind, Kuss marked his remaining breakaway companions, allowing Huffman to go for stage glory. Across the line, he was 15 seconds clear of Kuss, who had dropped the rest of the breakaway, with Tom-Jelte Slagter (Cannondale-Drapac) a further 13 seconds back. The next three stages were an impressive show of teamwork. In stage two, the team’s potent roster of Jesse Anthony, Rob Britton, Matteo Dal-Cin, Adam de Vos, Joyce, Kuss and Danny Pate rode selflessly on the front protecting Huffman's yellow jersey. At the final sprint bonus of the day, Huffman exploded off the front to capture a three second time bonus, further cementing his race lead. The script was the same for stage three – the team again rode at the front of the peloton for the entire day, keeping their lead protected. In the stage finale, Joyce unleashed a powerful sprint to land on the podium in third: a great result, highlighting the team’s versatility. Sunday’s final tough circuit through downtown Edmonton would be the last chance for rivals to unseat Huffman at the top of the leaderboard. Racing was aggressive from the start with Rob Britton joining the day’s breakaway. Behind, the team kept the breakaway close, never letting them gain much more than a minute. The team’s plans were thrown into chaos in the final 30 kilometers as a touch of wheels sent Kuss to the tarmac. As Kuss remounted, a counter move marked by Matteo Dal-Cin, bridged to the Britton group. Dal-Cin and Britton worked to control the pace, allowing their Rally Cycling teammates to bring back the breakaway thus assuring Huffman’s overall victory. With Huffman’s yellow jersey secure, Dal-Cin struck out solo for victory, holding a slim 15-second advantage over the final climb of the race before being reeled in just two kilometers from the finish. In the run for the line, Colin matched his finish from stage three and crossed the line in third. As the team defended Huffman’s yellow jersey north of the border, other Rally Cycling riders were picking up wins around the globe. Flying their nation's colors, Eric Young and Allison Beveridge both powered to gold medals at the Pan American Track Championships in Couva, Trinidad and Tobago. Young won the Points Race for the United States while Beveridge partnered with Stephanie Roorda to take the Madison for Canada. Beveridge’s Rally Cycling teammate Kirsti Lay also found success this week while in the colors of Canada. 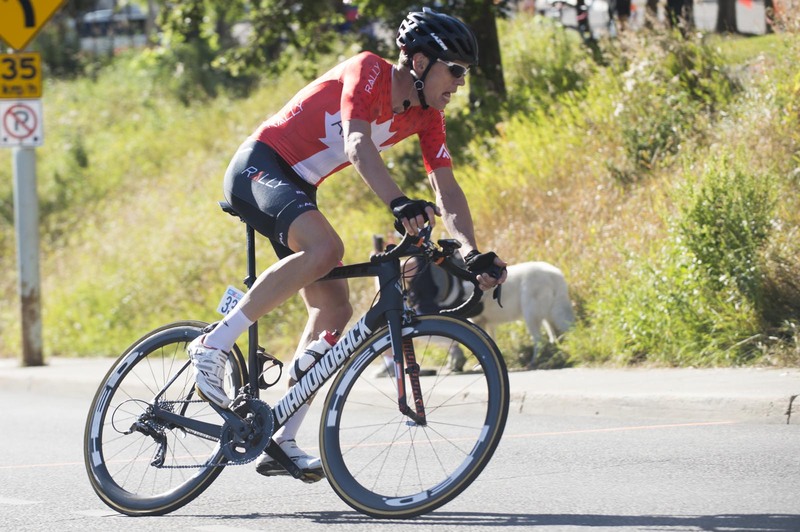 Racing for the Canadian National Team, Lay dominated the Green Mountain Stage Race in Vermont, winning two stages and the overall by almost six minutes. Brad Huff and Curtis White capped off the weekend taking wins at days three and four of the Gateway Cup in St. Louis, Missouri.